Last time we addressed the huge problem that all writers face, even experienced authors: The Leave it to Beaver Syndrome. Putting it simply, it’s what to do with all those “Mary said,” “John replied,” “Susie screamed,” tags or the author’s identification of who said what. When only two characters, sometimes three, are in a scene, it’s relatively easy to delete almost all of the “who said it?” tags. Having a page of dialogue without tags helps your manuscript flow smoothly and helps the reader to really get into the story. Beats are phrases that do not use the speech acknowledged favorites such as “said,” “asked,” “replied,” etc. Beats add action and description to your discourse without your having to write a lengthy narration “telling” details. Beats allow you to “show” the action. “When did Josh get married?” Heather asked. “When did Josh get married?” Heather’s eyes flooded with tears and she grabbed a tissue. So there you have today’s writer’s tip. Work on your manuscript’s dialogue. Throw out the tags when they’re not needed and write interesting and informative beats that will help you write fiction that wows! Next time, we’ll discuss how to write beginning paragraphs that “hook” your reader. Last time, we discussed what I call the “Leave it to Beaver Syndrome,” a creative crime that so many writers find themselves committing. Even frequently published writers like myself can easily fall prey to this “beginner’s style,” which will kill any story, if we aren’t careful. “Well, Pete, how about just a game of Boggle?” Mary asked. “Well, how about a game of Boggle?” Mary went to the bookshelf and retrieved a game box. Now, there you have the rewritten dialogue. We cut a fistful of “Mary’s” and “Pete’s,” and we added some beats instead of using so many tags. What do you think makes this second excerpt so much more interesting? What do you know from the second excerpt that you didn’t know from the first? How did I accomplish filling in some details? And what about those tags and beats? What in the world are those little entities? Yep, tags and beats. They are SO essential to writing good dialogue. Next time, we’ll discuss those tricks of the writing trade in detail. Learn to use tags and beats effectively, and your dialogue will have a spark that will simply“wow” your reader. 2. If you’re a published author and would like to be featured on my blog, please contact me. I’d love to post your picture, a short bio, and your credentials along with contact information. Now, about writing fiction that wows your reader. This series will run for quite a few weeks. I welcome your comments. So let’s get started and begin with how to write dialogue that flows. Flowing dialogue? What in the world does that mean? Flowing dialogue is “natural” dialogue or conversation in your book that sounds “normal,” that’s easy to read, and that which fits the personality and background of each character who has an important speaking part in your story. Anyone who is as old as I am remembers that when TV was in its early stages and just becoming a member of every household, programs like “Leave it to Beaver” were in their infancy with some of the scriptwriting quite poorly done. Such is the case in many of these early sitcoms, in particular, the dialogue between the characters. What I’d like you to do until next time is rewrite this mini-scene and rid it of this ho-hum style that will put your reader to sleep or inspire him to use your book as kindling wood. In my next blog, I’ll rewrite this scene, shaping it into something that isn’t as stagnant, redundant, and just downright boring. 1. When I’m invited to speak, the inviting party usually pays for, at least, travel expenses. I don’t have to put my own money up front. Most of the time, I also receive a speaking honorarium as well. 2. For some reason, authors are held in high regard in our society. People want to “get close to” authors and sometimes treat them like celebrities (even though you might be a no-name), so they will buy your book to take a piece of you home with them! So, if you haven’t developed a platform for yourself yet, spend some time thinking about that. If you’ve had a book published, then you can be considered an “expert” about something you’ve written. Speaking engagements WILL sell your books. You just need to get your name out there and go for it. 1. Writers conferences – other writers want to read what has brought you your measure of success. 2. Church events, i.e. ladies’ days, children’s Sunday schools, Mother/Daughter banquets, homeschool gatherings – of course, with my Bible study guide, homeschool book, and K.Stables books, these groups are my niche. 5. Bookstores (I’ve already addressed this issue. Make sure you are there on a BIG sales day of an authors’ fest day when a group of authors are invited) Sometimes, the manager will want you to do a reading. That helps draw an audience. And one last note about speaking. With the explosion in technology, I’ve converted all my “speeches” to colorful, graphics-active Power Points, and the audiences love them. It’s the most entertaining way to keep everyone focused on your books and you, and you can have a good time doing it, as well. Well there you have my marketing heart in a huge nutshell.We’ve discussed 12 different venues for marketing your book over the last few weeks. Analyze your niche audience, plan a strategy to sell books, and hit the road, Jack. These days, there’s a lot to be said about self publishing your own book. In fact, most of the writer friends I know have gone this route because of the difficulty, and LONG process, of being accepted and published by a royalty (paying) company. 1. Go to an inexpensive “print shop” that will print exactly what you put on the CD and give them. But here’s a warning! Be sharp on your own editing and revising because there will be none from the print shop. If you spell “Mnoday” wrong in your manuscript, that’s what will be in your final product. Yes, the process is relatively cheap compared to other self publishing options, but you better be pretty darned good with your PUGS (punctuation, usage, grammar, spelling), or you might be embarrassed when you get your book in print and discover that your title is spelled wrong. (I actually have seen a self published book with an apostrophe used incorrectly in the title. Zowie!) Check out THE SECRET OF THE BATTY on my website www.marshahubler.com for a look see at my own “print shop” self published book, of which I am quite pleased. 2. Put some hard cash up front (like, at least $1600-$2000) and hire a reputable company to print about 200-250 of your books. Many such companies will have in-house editors who’ll work with you to make sure your book is a reflection of your best writing and their fine work. As far as marketing and promotion go, as with the first option, it’s all yours, baby. Marketing your book falls 100% in your lap, which will be a costly venture, as well. Check out RICKIE RIDES TO THE RESCUE on my website www.marshahubler.com for a sample of this type of self published book. Now, if you decide that you no longer have the patience to wait for a royalty company to come knocking on your door and you do have the capital to proceed, then go for it. Just decide which way you want to go. And one other small but important detail: make sure you get an ISBN number installed on the back cover. Some print shops or publishing companies will NOT provide this and you must apply and pay for the number yourself. Other companies WILL do that work for you (for a fee). If you plan to try to market your book anywhere in stores or on eBay, you must have the ISBN, or your book cannot be sold through these venues. 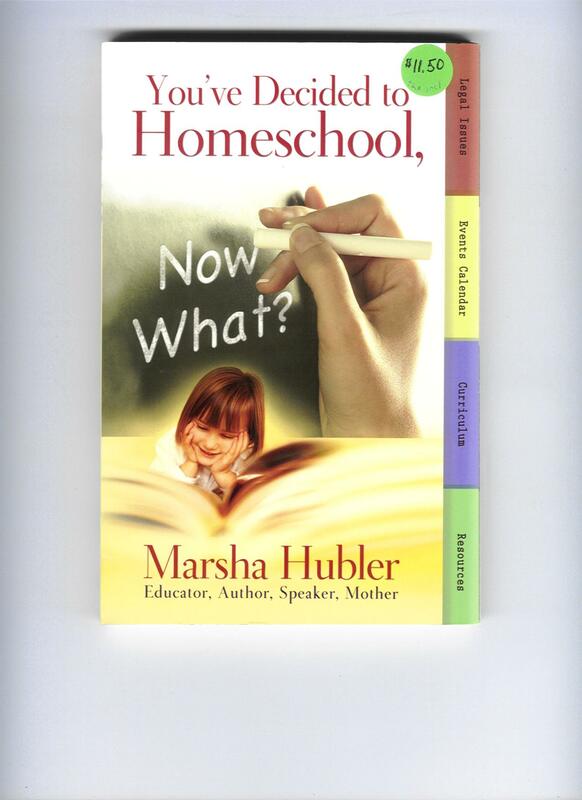 This book will help any parent homeschool his child(ren) efficiently, legally, and with lots of great curriculum and educational supplies, which the kids will love. Today we’ll discuss several of the more expensive ways to promote your books. Remember, I’ve said it takes money to make money, and when you promote and market yourself, it does take bucks. 1. Rent vendor’s space at conventions, conferences, or gatherings of like-minded folk. One of the best places I’ve sold books is at the annual PA state homeschool convention held every May for two days in a huge hall with over 150 vendors. Yes, the vending fee is expensive, and each year I just about break even, but as I’ve said before, “exposure is the key to successful book sales.” Thousands of homeschoolers attend this event every year. Usually, if families buy one or two books, they come back for more the next year or buy others online or at book stores. Last May, even with the poor economy, I sold 200 books at the homeschool convention over a two-day period. I’ve also had vending space at craft fairs and “horsie” events, most with reasonable vending fees, which paid off in the long run. a. Buy a set of two or more and I tie them together with binder twine (used on hay bales) and include a free bookmark and a tiny plastic horse that is tied onto the front of the set. I also void the state tax (which I cover). b. 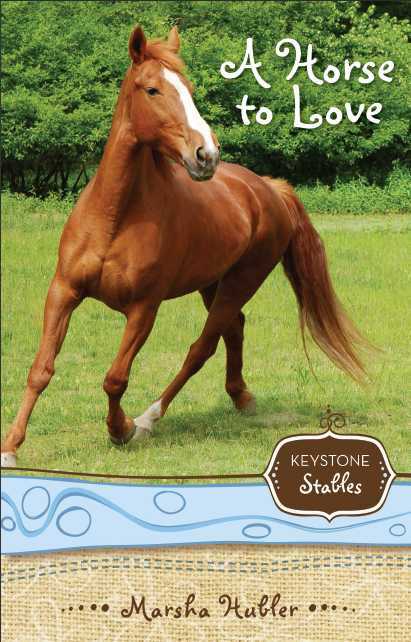 Get a nice 12″ high free horse model if you buy the entire Keystone Stables set. c. Buy any four, get the fifth one free. So there you have it. Decide how much money you want to invest in making money and get busy. Next time, we’ll discuss the pros and cons of self publishing.